I heart ranunculus. 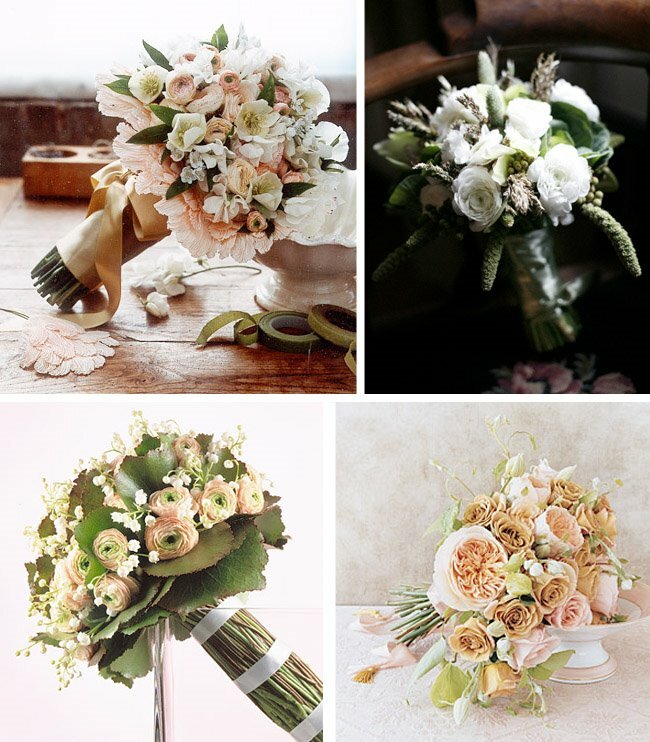 With so many different colors, their tissuelike petals, and their ability to come across as modern, romantic, or classic – what’s not to love? Ranunculus asiaticus is also known as Persian buttercup. Their season is roughly December through May. 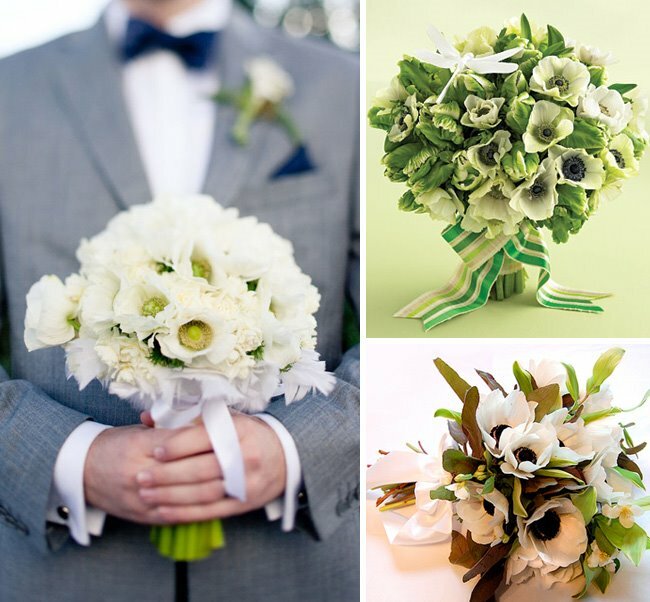 Once cut, ranunculus last up to a week, which makes them a great wedding choice. 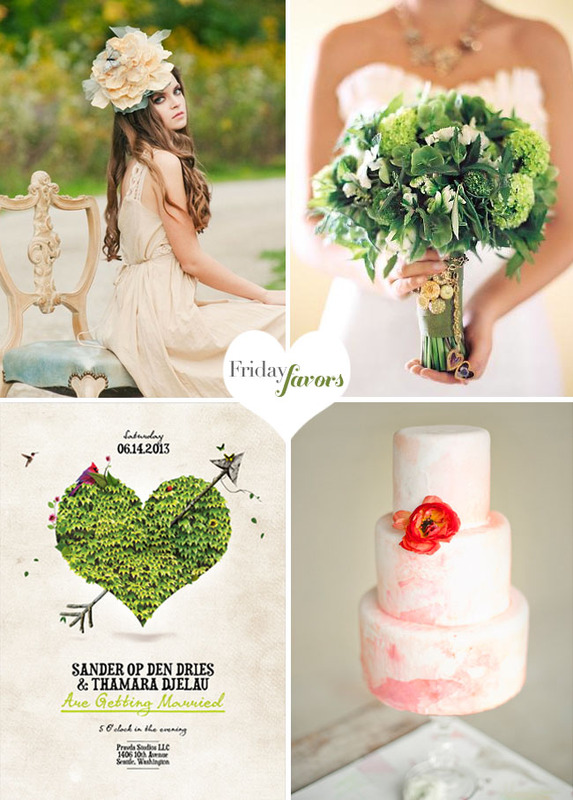 Here are some ideas to incorporate ranunculus into your wedding day. 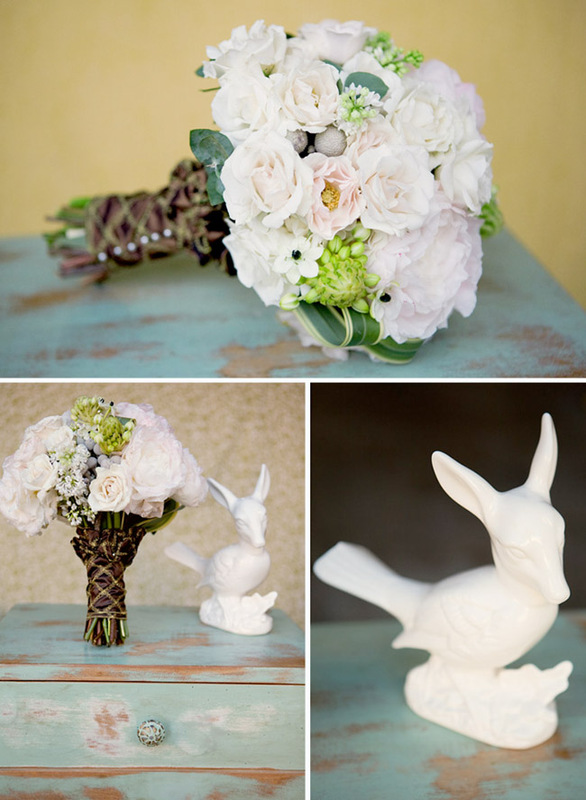 Thanks to Hannah of modern bouquet for the heads up about the Carlsbad, CA Ranunculus Fields! How beautiful does this look?!! 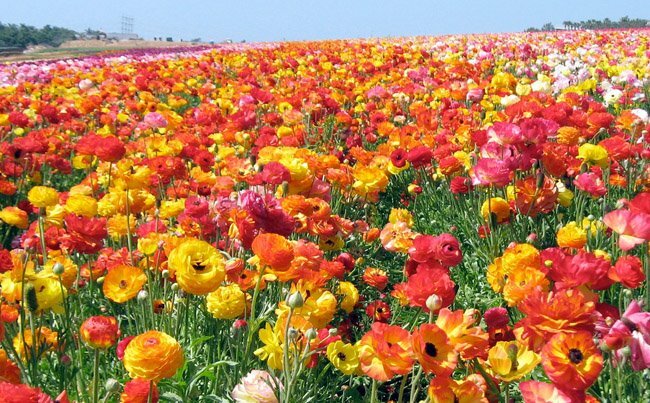 A 50 acre field of ranunculus! I’m going to try and visit in the next week or so. 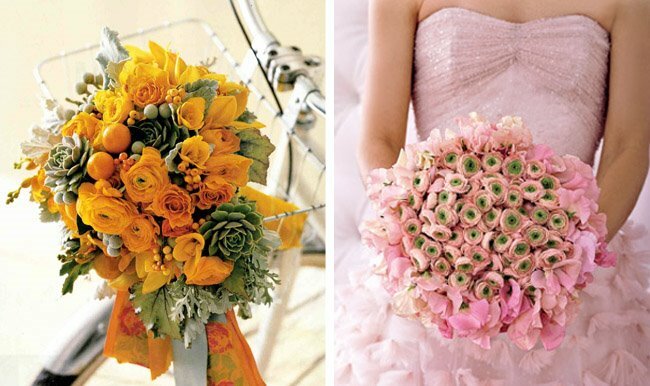 I want to go all the way with ranunculus. One of my favorite flowers! We had lots of them at our wedding. I love how dainty yet detailed and layered they are. i’m having them too!! i’m so excited i can hardly stand it! oh i’d LOVE to photograph a lifestyle session in that field…i think i’m in love!! 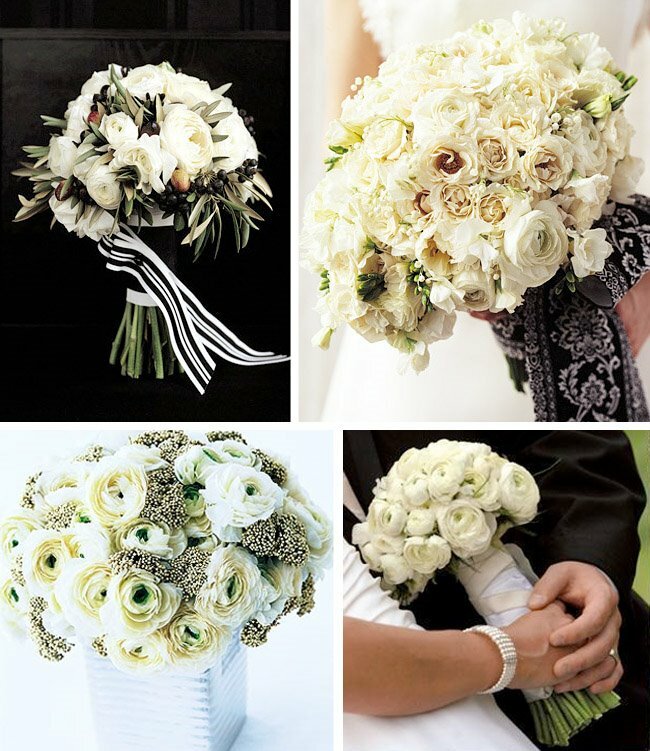 I just adore those classic white bouqets. So stunning, and the pop of inky black is just divine! I am so in love with them as well! my most favorite flower in the whole wide world! I love these photos! I have contacted everybody and their brother wanting to know the name of the pink ranunculus with the green centers…I wish someone knew. They’re gorgeous!!! great post thanks. i think those ranunculus in the teacup was an article in domino magizine about alternative containers. i have it around somewhere… so pretty. 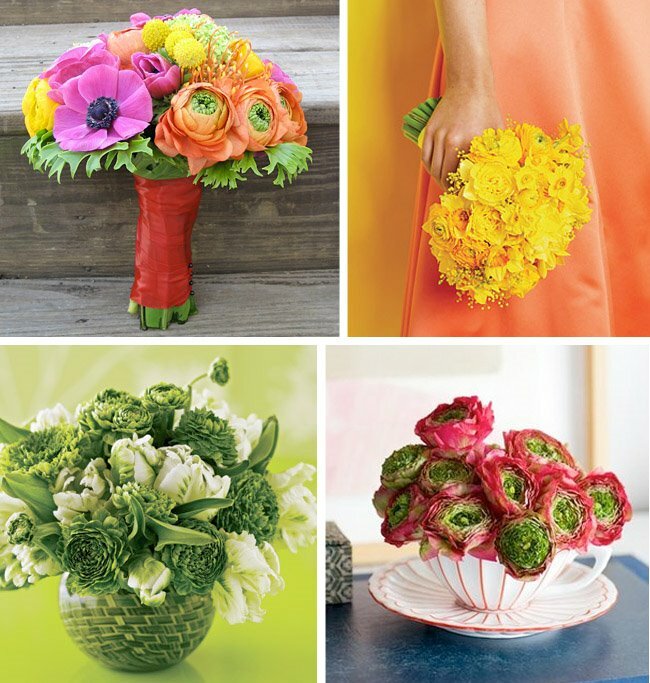 and i love how the ranunculus start showing that green inside like in the pink picture. Love. These are my favorite in white or orange. Sigh. Lovely. Just a quick FYI…. ranunculus don’t really have names like roses do. Not unless you live in Holland anyway! You kind of have to order them with full rambling description. "The pretty pink ones with the ruffled green center bit." I am happy to say that we are seeing the ones with the ruffled green centers more and more though… they are my most favorite.